Lil Wayne's sports agency is suing former client for cash & a diamond chain he never gave back. It appears Lil Wayne’s name is being tossed around in new lawsuit, but it doesn't have much to with him per se, but more so his sports agency that’s going after their former client. TMZ reports that Young Money Sports Agency is suing former client Frank Mason over some cash and a diamond chain they gifted him. So apparently Mason, who played guard at Kansas, signed with Weezy's Young Money APAA Sports Group back in April 2017, right before he was selected in the 2nd round of the draft by the Sacramento Kings. 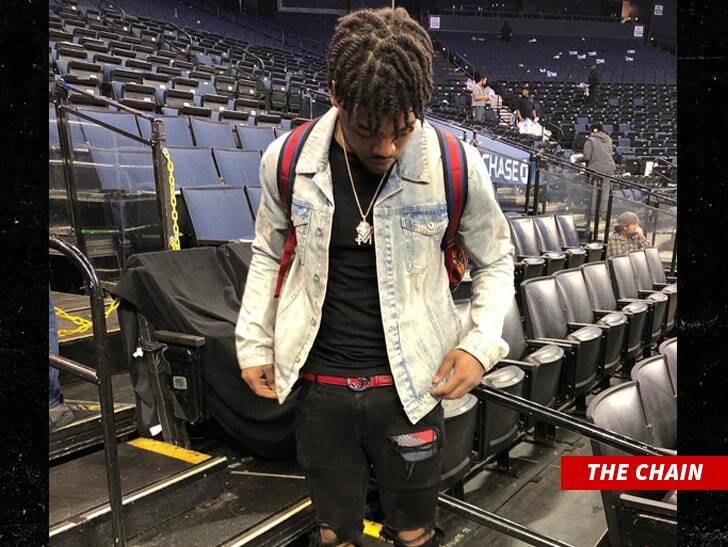 As part of his deal, YM claims they advanced Mason $40,000 dollars, agreed to pay his pre-draft expenses, which totaled $52k, and hooked him up with an $11,000 diamond encrusted Young Money chain. However there was a catch in his contract that if Mason ever left the agency, he had to repay the money and give his jewelry back, which seems like a horrible deal to me. Of course, what brings you here is that Mason then fired YM's sports agency back in April, and never returned his cash or diamond chain. So as a result, they’re suing him for $92,000 in cash, the chain, plus damages. While you might think that’s nothing to an NBA player, it is to Mason. The Kings’ guard made $1.3 million last year and is set to make around the same for next two upcoming seasons as well. We’ll continue to keep you posted as more on this develops. Check out a photo of Mason rockin' the chain (below).